The packaging system consists of main packaging machine and various auxiliary designs, and is primarily divided into 3 parts: the weigher, the conveying machine, and the inspection machine. Users can choose the main packaging machine and related auxiliary equipment from us here at Siyuan in order to reduce purchasing costs, and ensure an outstanding matching performance. The main packaging machine can be equipped with different weighers to form different packaging systems for packaging different materials. 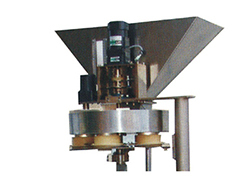 The weighing system accuracy will also influence the weight accurancy for packaging finished products. 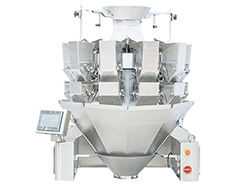 Multihead Weigher The multihead weigher is suitable for materials in granule, flake, stripe or irregular shape such as grains, pasta, candy, seeds, chips, coffee beans, nuts and more. It is also suitable for weighing of non-food material such as screws, bolts, small hardware, plastic parts and more. Automatic Weigher The automatic weigher carries out weighing and filling of packaging powder materials, such as flour, milk powder, feed, cocoa powder and more. It can be paired with a packaging bag making machine and premade pouch fill machines to form an automatic packaging machine. 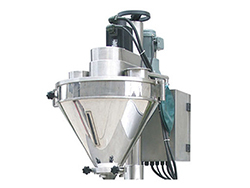 Volumetric Weigher The volumetric weigher is suitable for small free flow granules and powder , such as sugar, condiments, seeds and more. Siyuan has over ten years of experience, and all core parts are produced by us so that we can monitor all quality levels, and provide any later parts changing services.